Softphones are software programs used to make calls over the internet, typically using a general purpose computer (as opposed to dedicated hardware). 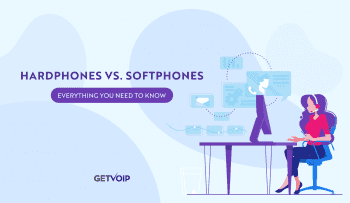 While the software is usually designed to mimic the behavior of a traditional phone, softphones have the ability to make both voice and video calls .In addition to this, softphones typically offer the same features of a business phone service. As a result, many businesses are switching over. 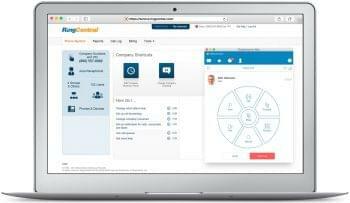 With the same quality features offered, businesses can take advantage of increased mobility and remote access as phone system features are made available via laptop and desktop computers. As softphones become a more viable option for businesses, there are some factors to be aware of. To illustrate this, we have compiled a list of aspects/characterisitcs to look out for when comparing softphones for business use. Complete Integration- Softphones typically allow for the consolidation and integration of all the functions of your business phone systems directly into your computer. As a result, one can perform a number of different tasks, such as checking messages/voicemail and making conference calls, directly from the computer. In addition to function, compatibility with programs like Microsoft Outlook allows for the integration of contacts. Providers like Fonality, and 8×8, Inc. offer this type of integrated softphone option. Feature Options- Softphones offer the same features many traditional phones or cellphones offer; therefore, switching will not result in dropped features. 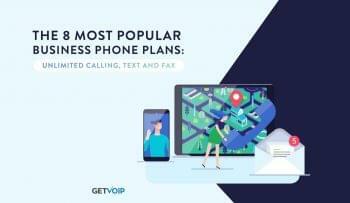 Features such as instant messaging, incoming caller ID pop up, click-to-dial, visual voice mail, missed call pop ups, and presence information are typically included in basic packages. In addition to the basics, there are a number of advanced features that are available. For example, some softphones can log call information and statistics into bars and graphs. Other advanced feature include: recording calls directly onto the computer being used, customizing ring tones, and configuring of USB devices through user interface. Set Up and Support– Most softphone set up and installation is simple, requiring only an internet connection, an online account, and downloadable software; however, if you run in to trouble many (but not all) providers place themselves at your disposal. For example, Vonage offers 24 hour customer support. Additionally, some softphones are designated for specific platforms (MAC and PC); therefore, when seeking out a softphone, make sure it is compatible with your platform. Pricing and Requirements– Though you do not need hardware to utilize softphones, downloading the software will not provide the service alone. 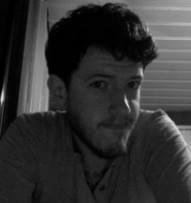 A VoIP provider is needed to maintain the service. With this, there is monthly pricing for service plans. Just like traditional phone service pricing, charges depend on the services/features chosen, as well as the minutes or call time. On a side note, the cost of softphones is typically low; therefore, pricing is generally not a big issue. Potential Issues– Though softphones offer a number of benefits, there are some factors that may be seen as potential risks. For example, though service of generally good quality, there are extenuating factors that can cause a drop in quality (a poor internet connection for example). Also, dialing out may sometimes require a login. While this is generally not a problem, it could become one if an emergency call needs to be made. Though there are always extenuating circumstances to take into account, the above listing offers some key factors to be aware of. In deciding to switch to softphone systems, it is important that businesses and individuals are aware of all that the system entails. Softphones, though a great resource, are not always the best option, it depends on the business and the intended use; however, for those who have decided to switch to this system, make sure you are aware of all the features and aspects of the system being chosen.